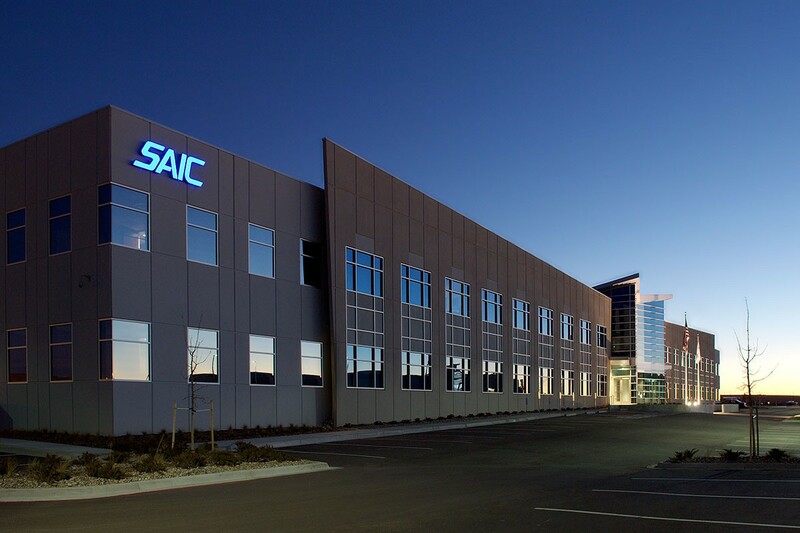 SAIC is a lead provider of scientific engineering systems integration and technical services and products to all branches of the U.S. military, agencies of the U.S. Department of Defense (DoD), the intelligence community, the U.S. Department of Homeland Security (DHS) and other U.S. Government civil agencies. Cowperwood Companies acted as the developer for the Design-Build project on behalf of SAIC and the government. 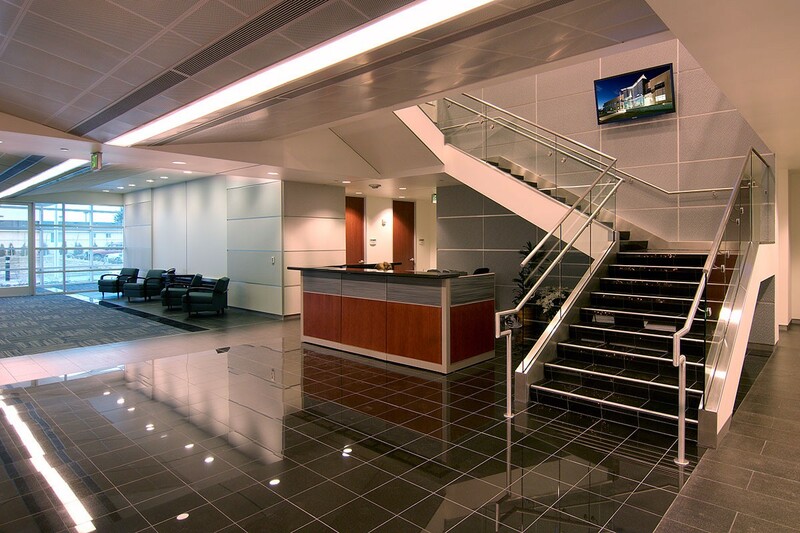 They engaged Powers Brown Architecture to design this two-story 88,900 sf office building, located in the mountains of Colorado Springs, Colorado. 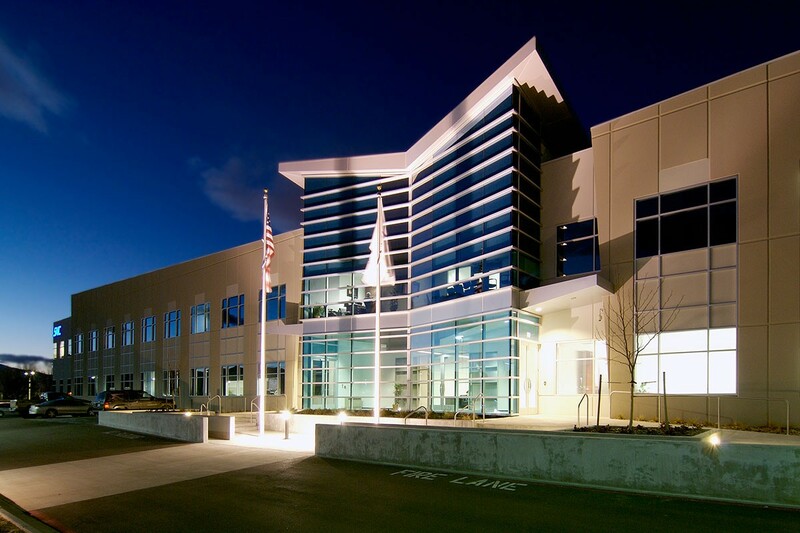 The building is situated adjacent to Peterson Air Force Base with primary concerns directed towards security measures around and within the building. Numerous site cameras, barrier gates, security lighting and perimeter fencing around and over landscaping berms are included. In addition, direct access from the SAIC site to the Peterson Air Force Base site is provided through a swipe key card turnstile gate, opposite to the southern entrance to the building. The building itself has a multitude of SCIF rooms as well as numerous conference rooms varying in size with a multitude of offices for SAIC personnel.